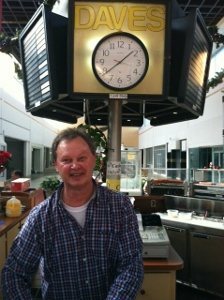 TITUSVILLE, Florida -- Dave Curfman, owner of Dave's Hot Dog Stand in the middle of Miracle City Mall in Titusville, Florida has announced that he will be closing at 6 p.m. on Saturday, February 2, 2013. Dave's Hot Dog Stand (otherwise known simply as "Dave's") has been an institution in Titusville for 44 years. The business started as an Orange Julius in January 1969 which remained an Orange Julius for 25 years until the franchise expired. The Curfman family then changed the name to Dave's. The Curfmans bought the Orange Julius from Bob Socks in October of 1977, but began running the Orange Julius in mid 1971. Dave is hoping that in the waning hours of February 2nd, crowds of his supporters will come down to the Mall and show support for him and his family who have worked 7 days a week for over 40 years to serve the people of Titusville and North Brevard. 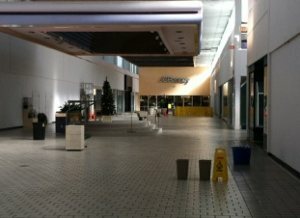 JC Penney will also be closing that day and basically the mall will be closed.